Dolphins may be the most fascinating sea creatures in existence. They are credited as being some of the most intelligent creatures in the world. They are also rather friendly mammals and can even pull some amazing tricks and stunts. You won't hear of a "Dolphin Apocalypse" or anything. These are amazing creatures. This blog post is not meant to be a detailed post about dolphins, but rather a brief and casual post on them. So I hope you'll enjoy this post. NOTE: A lot of the material I researched beforehand mostly come from the Wikipedia entry on dolphins. ^ from: www.visitkythera.gr - Dolphins are surely some of the most fascinating creatures alive. ^ from: (my Facebook albums) - This was some tribute art I made a long time ago featuring a dolphin. Dolphins are incredibly interesting. Can you think of any sort of famous dolphins? Many know of Flipper. Many gamers know of Ecco. Some others even recall dolphins helping Mario, Luigi, and Yoshi in "Super Mario World." No matter what, you can't help but be fascinated with dolphins. A friend of mine from my college days loves dolphins, and so I kind of thought of her when I came up with this blog post. I guess what I find most fascinating about dolphins is just how intelligent they are in addition to being very friendly. Dolphins are mostly not predatory animals, though I read they tend to kill porpoises as I was researching this topic. Some dolphins are even used by military. From what I read on that front, dolphins in military use are more like the water equivalent of bomb-sniffing dogs or try to move out water mines. There was even a study once that suggested that dolphins could help boost the mood in people who suffer from depression. Needless to say... dolphins almost seem like natural wonders to us all. I mentioned Ecco the Dolphin earlier. If you played the classic Genesis/Megadrive game series before, communication is important to conversate and even navigate your way through the game. It is a fantasy game, but it is just an example of dolphins communicating. ^ "Dolphin Show - Five Dolphins perform High jumps, Great speed and underwater tricks"
Now that you have insight on dolphins, let me share some final thoughts. Dolphins are amazing creatures. Just learning about them and what they are capable of make them some of the most fascinating mammals alive. They are intelligent and playful. I might even say they are about as beautiful of creatures as horses (which I blogged about long ago). So if you get a chance to see or interact with dolphins, it is a most incredible experience. 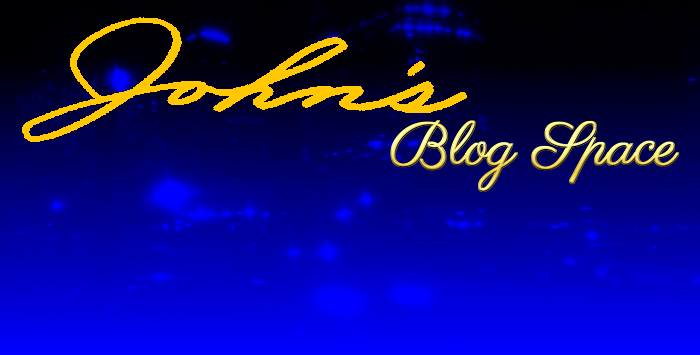 I'll blog about [almost] anything here on "John's Blog Space." That even includes dolphins. I hope you got to enjoy this post and maybe take away a few things about dolphins. I'm sorry I can't fully help you with your homework assignment or essay project about dolphins, but you have just a little insight on them. Be sure to Subscribe and Follow this blog for more goodness from yours truly. Until next time... thank you for reading! Take care and be well.